Is Zambia the Next Cobalt Hotspot? Glencore is making a bet on Zambian cobalt — will other miners move to tap the nation’s significant potential? Glencore International (LSE:GLEN) is poised to more than double its Zambian cobalt production, according to The Wall Street Journal. The article notes that the company will spend $27 million to increase production capacity at its Nkana cobalt plant, with output expected to rise 7,000 metric tons (MT) per year from the current 2,800 MT. The move would restore Zambia’s place as one of the world’s top cobalt suppliers. In 2011, the Southern African nation was the world’s fifth-largest producer, at 5,400 MT, according to the US Geological Survey (USGS). But the USGS estimates that Zambian production fell to just 3,000 MT in 2012, relegating the country to eighth place amongst global cobalt producers. That’s the second-smallest output of the major producing nations. The low output belies Zambia’s geological prospectivity. The country lies at the southern end of the African Copperbelt — a terrain in the neighboring Democratic Republic of the Congo (DRC) that holds one-third of global cobalt reserves. Although Zambia is smaller than the DRC, it’s got the right rocks to produce a lot of cobalt and copper. Running at full capacity, Glencore’s expansion would make it the world’s number-two cobalt supplier. Is Zambia the new hotspot for the cobalt market to watch? Zambia’s cobalt sector is complex, and a look at its history reveals a number of unusual things about the industry. First, the nation’s cobalt output is largely independent of copper production. In the neighboring DRC, cobalt output has stepped up more or less in proportion to copper production. As more copper ore is processed, more cobalt is collected as a by-product. The nation’s towering cobalt output is a consequence of its copper production growing 400 percent over the last decade. But in Zambia, the picture is different. Between 1994 and 2002, cobalt production rose 186 percent, or 6,500 MT per year. During the same period, copper production fell by 17 percent. Zambian cobalt output peaked in 2003, at 12,000 MT per year, then declined more or less steadily afterwards, ultimately sinking to the 3,000 MT estimated for 2012. However, this shrinking of cobalt output came even as copper production ramped up significantly: between 2002 and 2012, Zambian copper output rose 111 percent. There’s no clear explanation for the disconnect between Zambian copper and cobalt production, but it may have something to do with governmental uncertainty. Following 2000, Zambia was seen as one of Africa’s most favorable mining investment destinations, according to the Southern African Institute of Mining and Metallurgy (SAIMM). The government was seeking to boost private sector participation in the minerals sector, which up to that point had been dominated by state enterprise Consolidated Copper Mines Investment Holdings. By contrast, the DRC was seen as a riskier location due to its inchoate government and flare-ups of internal strife. That may explain why Zambian cobalt output was relatively healthy during this period — even as late as 2008, the nation was putting out 7,800 MT of cobalt, which made it the third-largest producer on the planet. 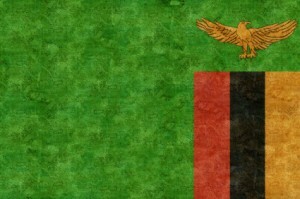 However, the mining industry’s love affair with Zambia hit a bump in 2008. The government revamped its minerals code to increase its take from mining: corporate income tax was increased from 25 to 30 percent and royalties rose from 0.6 to 3 percent, according to SAIMM. Perhaps most damaging, the government instituted a 25-percent windfall profits tax along with a 15-percent profit variable tax. That led mining firms to take a hard look at Zambian production. The increased taxation — along with high costs such as labor — led to some of the highest production costs in the world. As a result, many companies started to reconsider their capital investments in the country, including investments in the kind of specialized smelting equipment needed to process cobalt. That may have been why Zambian cobalt output plunged by more than 50 percent by 2012. Those clouds may now be clearing. For one, the Zambian government scrapped the controversial windfall profits tax in 2010, appeasing some of the mining industry’s concerns regarding regulatory creep. Further, companies have now had a few years to watch the regulatory landscape stabilize. That may be why firms like Glencore now feel comfortable enough to sink large capital investments into processing facilities here. That could mean a resurgence in the cobalt and copper sectors, which will be to the benefit of major and junior companies working this ground. A small number of companies are already betting on Zambia’s prospectivity. Caledonia Mining (TSX:CAL) is exploring 800 square kilometers on Zambia’s border with the DRC. Interestingly, the concessions abut the site where Brazil’s Vale (NYSE:VALE) is developing one of Zambia’s newest copper mines. Investors will see if Glencore’s vote of confidence spurs other explorers into this high-potential cobalt locale. Securities Disclosure: I, Dave Forest, do not hold equity interest in any companies mentioned in this article.